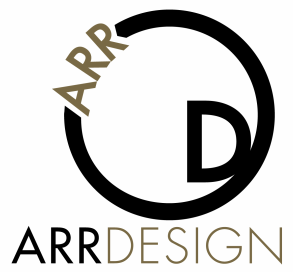 You can rely on ARRDesign for your design needs. ARRDesign offers a range of graphic design services, overviewed below. Please contact us with any questions! ARRDesign has a solid background in print materials and will create what you need, for your brand -- gladly working with your printer of choice. Custom business cards, brochures, magazine or newspaper ads, flyers, billboards - you get the idea! Design for Print Materials: $75 per hour, 2-hour minimum - Contact us for details. Need a shirt to promote your brand or special event? Let ARRDesign create licensable designs for your apparel needs - screenprint, direct to garment, sublimation or whichever process you choose. Light up your social media with custom video or animated, branded content! ARRDesign will work with video or images you provide, create stunning photos and video on-site just for you, or work with legit stock images and video to create on-brand content following social media standards. All of the website packages below include monthly hosting, 24-hour access to a secure login area, and a responsive mobile site (meaning the mobile version responds to how the desktop design is laid out and displays according to the device used by the viewer) and can be upgraded to eCommerce with an SSL certificate at any time. Edit text, create a login area with password protection, upload HD videos or audio, include downloadable documents, customize forms to tailor the information you need - all editable whenever you or your staff needs to. Upgrade your CMS package to include a seamless, drag-and-drop eCommerce site and start selling your digital or physical products whenever you are ready with Stripe, Square, Authorize.net or PayPal over a 128-bit encrypted connection. These packages are perfect for small-business budgets or for folks who really want to take the reigns with very frequent website edits and is a great way to establish a creative, sustainable and reliable web presence. The Basic: Up to 4 web pages and 1 contact form tailored with your images, text and the overall look and feel of your brand. The Deluxe: Up to 10 web pages, up to 3 forms and 1 blog page tailored with your images, text and the overall look and feel of your brand. The Flex: The sky is the limit! Outline your needs and let ARRDesign create a site that works to cover them all. Starting from the ground up? Turnkey services are available including logo design and branding. Contact Us for current pricing and time-frame details. Let ARRDesign create a unique, sophisticated website with a custom color palette and incredible visuals such as parallax and pinned content. These designs include content specifically made for mobile devices (tablets and/or phones) - which means the site will detect what device a viewer is using and display the customized design for that device. Limited Client-side editing capabilities may be available (for minor edits) but the complex nature of these designs does not allow for drag-and-drop editing, however, ARRDesign will be available for website updates when you need them. The range of the investment is determined by how much content is provided by the Client in reference to how extensive of a web presence is desired. Hosting services, domain acquisition and eCommerce integration is all available. ARRDesign will strive to work with your choice of shopping carts and payment gateways. eCommerce integration into your custom site can be completed for a one-time setup fee. Once your store is set up, ARRDesign does not collect transaction fees whatsoever - that is between you and your shopping cart provider and payment gateway. Contact us for details. Need a domain name? Standard domain names ("yourwebsite.com") can be acquired based on availability. New domain extensions are available (such as .apartments, .website, .global, .guru, .photo - you get the idea!) and start at $85 per year. While all domain services include private registration and basic business registration, additional registration services are available. Need someone to perform web updates for you? While the CMS Web Packages allow you to edit your own website's content whenever you'd like with a drag-and-drop editor, not everyone enjoys doing so. ARRDesign will perform edits or provide assistance at various stages in the process for your CMS website or custom website. ARRDesign can create a unique, creative, memorable brand for your business or group. Packages are available that can combine products to meet your needs including a logo, business card design, letterhead and envelope or envelope label, starting at $550. Print management services are available as well. Contact us for details. From basic photo-editing, portrait retouching, photo restoration or image composites, ARRDesign offers professional photo editing. Digital Imaging Services: $75 per hour, 2-hour minimum Contact us for details.